Reed CC Pool & Darts Night 2019. This year’s competitions will be on Saturday 13th April – assemble at 1700hrs for a start time of 1800hrs. £15 entry fee – includes entry into both competitions and food (takeaway fish & chips or pizza). For food only, it will be £10. CASH PRIZES!!! To secure your place and for catering purposes please contact Tom Greaves 07787 243915 or Sam Greaves 07950 644861. Good luck! Winners at the Darts & Pool evening were:- Darts Final - Tom Greaves beat Jack Caine. Pool Final - Rob Lankester overcame Matt Bowles. Thanks to the organising team for a successful evening. 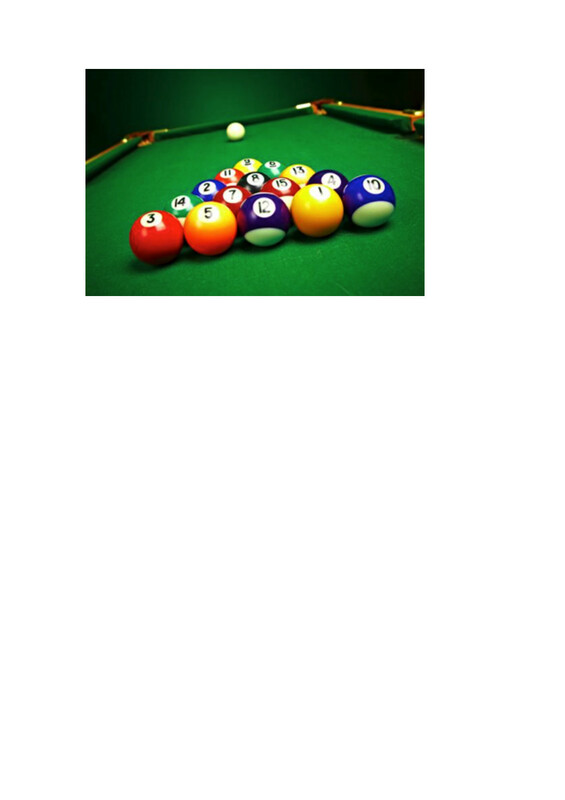 Reed CC Pool & Darts Night 2017! 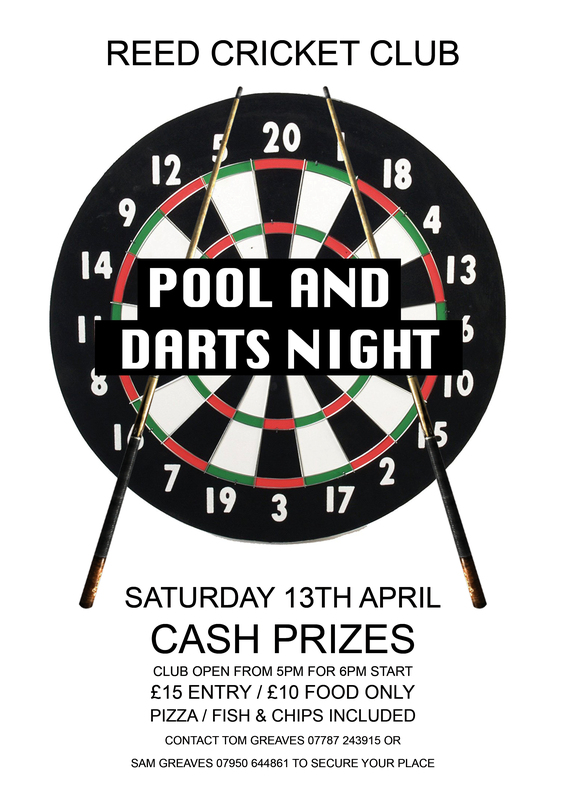 – Friday 7th April Do you fancy yourself as the number one Pool or Darts player at Reed CC? Or an enjoyable evening up the club with food and a few drinks whilst supporting the club £15 entry – includes entry into both competitions and food (takeaway fish & chips or pizza) Winner – 40% of the pot / Runner-up 20% of the pot / 3rd Place 10% of the pot (applies to both competitions). The draw for both competitions will be made on arrival (7pm start) and matches will begin immediately. To secure your place please contact Tom Greaves 07787 243915 or James Heslam 07763 681216 – please also confirm food choice!